Rob Jones of USP Content is a big fish in the radio pond, with his award-winning team again producing BBC Radio Five’s output for the British Grand Prix. But now USP is also setting its sights on a major share of our television screens and Rob is making the most of his pension fund to back the venture. After working for Sky Channel and then handling Richard Branson’s media interests, in 1990, Rob decided to set up his own consultancy. “I funded myself, set up an office and was only unemployed for 30 minutes,” he jokes. “Within half an hour the phone rang and it was Yorkshire TV looking for a consultant. After two weeks I was working for them and Jazz FM”. When the BBC approached him to help revamp their Formula One radio coverage, he jumped at the chance. “We brought in David Croft as commentator, along with Holly Samos from the Chris Evans show and motorsport journalist, Maurice Hamilton.” The familiar line-up has now morphed into the current team of James Allen, Jennie Gow, Allan McNish and Gary Anderson. A recommendation from a business advisor and some further research put Rob in touch with pensionledfunding.com. “I’m not a finance guy, but pension-led funding immediately felt good and the right thing to do,” Rob explains. “I wasn’t happy about my pension – I’d taken my cash-free tax sum as soon as possible and put it into property. I still had a considerable amount left in the pot and wanted to use some of this to back myself rather than leave it to the whims of the market. Now, with TV broadcasters banging on his door for new programmes – including a US Sports magazine show and NFL coverage for the BBC – as well as acquisition talks underway to further expand the USP Content family and increase their F1 proposition, Rob definitely looks set for life in the fast lane. 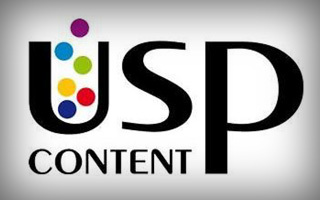 USP Content has been creating TV, film and radio content for more than 20 years, including a current lucrative contract with BBC Five Live to provide Grand Prix coverage. Managing Director Rob Jones was looking for more than £100,000 to fund future TV contracts but didn’t want to pay bank interest rates. Funding Circle was unable to help him but recommended Pension-led funding as an alternative source. Rob had already taken a tax free entitlement from his pension and was happy to use the pension to help boost his business. A loan of £135,000 was secured on his company assets. Rob is using the money to fund a number of TV projects including: Britain’s Next Sports Star – a 4 x 7 part series covering tennis, athletics, boxing and cycling.Sport USA – a weekly American sports highlight programme.Monday Night Football – for NFL/BBC. Funding will include puchasing equipment, cameras and lights at a cost of approximately £35,000 and hiring external studios and craft talent to the tune of £70,000.He also hopes to refurbish his F1 Studio for the end of this season and the next two years, which will cost up to £20,000.